Whether you live in a second-floor apartment with a small balcony or a house with a balcony off of one of the bedrooms, you might love to maximize the amount of living space that you have. Balconies are a great place to enjoy your morning coffee on a comfortable morning or have a potted garden. 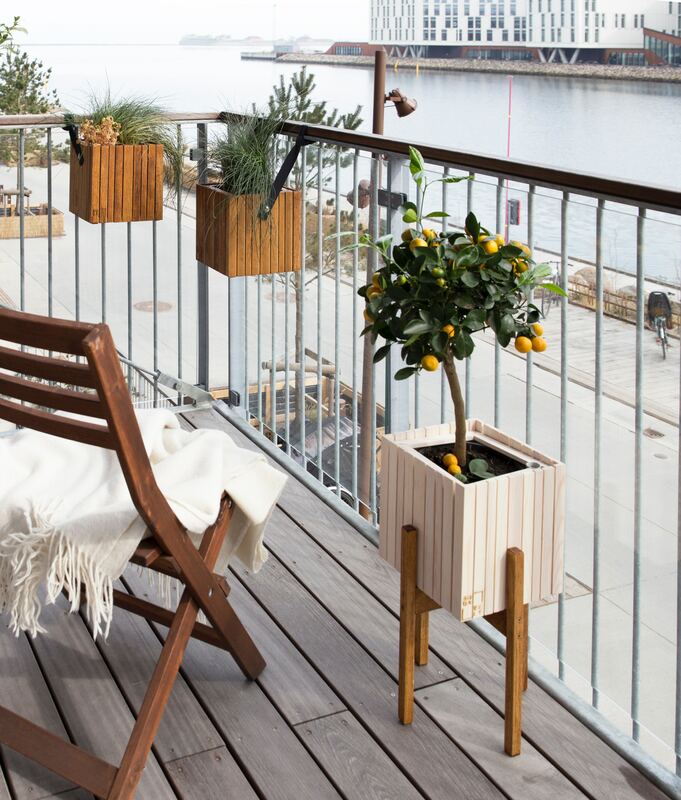 In fact, there are so many things that you can do with a balcony that once you’ve seen the ideas, you might wonder why you ever looked at the space and wondered what to do with it. Here are some ideas on how you can maximise the area. One of the quickest ways to make any balcony feel like home is to add some greenery. Since you’re on the second floor, you’ll need to use pots and hanging baskets. Also, since you’re right next to a building, you’ll need to determine how much sunlight you get on a daily basis. A few rugs that are layered can instantly make a balcony feel like an extension of the house. To pick out some rugs, you’ll first need to ensure that they are intended for outdoors, which are made of anti-mold and mildew materials. Also, if you layer them, you can instantly create a luxurious yet bohemian feel. You’ll also need to measure the size of your balcony to ensure that you’re choosing rugs that are proportionate the area you’re filling. Even very small balconies can accommodate patio furniture, but you’ll need to scale your choices to the size of your balcony. Choose your pieces wisely so that you can accommodate at least a few people and fit a table to create a conversation space. Rattan is a popular material, and it has a classic appearance if you have enough space. If you own your home, you have free reign to install permanent outdoor lighting. For instance, wall sconces save space while also providing plenty of illumination for reading a book at night. If your balcony is in an apartment that you don’t own, you’re better off with a floor lamp that’s off in a corner or a table lamp on the coffee table. If you have an outlet, you can incorporate lamps that use electricity, but if you don’t have one, don’t worry. You can also choose battery-operated lamps or solar lamps. When you see a hummingbird or another beautiful animal close to your window, it feels like you’re inviting nature indoors. Set up a bird feeder so that you can view these creatures on a daily basis. If you love the laid-back aesthetic, a hammock can add visual appeal and be a welcoming space to sit back and relax. You can also incorporate a wicker chair that’s hung from the ceiling. You’ll need to check the restrictions of where you live if you don’t own the apartment, but if your balcony is big enough, you can also add a grill. This feature can add another way to cook at home, and if you miss the delicious taste of grilled food that you just can’t replicate in the kitchen, you’ll love having a grill. If you live in an apartment that’s close to the ground, you might get tired of greeting your neighbors. You can install some curtains to create privacy. Sheers look beautiful, let the sunlight through, and dry out quickly when it rains. But you can also incorporate thicker curtains. However, like when you’re choosing furniture, you should choose materials that are anti-mold and fading. If you’ve been using your balcony as a place to put extra things that don’t fit into a small apartment, Epping storage companies can help. You can pull the plastic totes and boxes off you balcony or out of your stuffed closets, then put these extra items in an Epping storage unit.